There are four downstairs rooms in the old building at 164 Lygon St and two upstairs. Plus we have six other listening/viewing/consultation rooms spread out across our other premises in this block in Carlton which makes for ... twelve dem rooms in all ... that I believe puts us in the ... top three outlets in Australia by that particular measure? In proper association with Winston in the above picture are three very British stacks of kit being Creek, Cambridge, and Musical Fidelity. The Creek stack includes the Destiny amplifier ($3600) that has just had a damn fine review from "Hi Fi Choice" magazine ... Michael Creek is one of our favourite amplifier designers and will actually talk non stop for three days about his amplifiers until the need for food and drink makes him take a break. 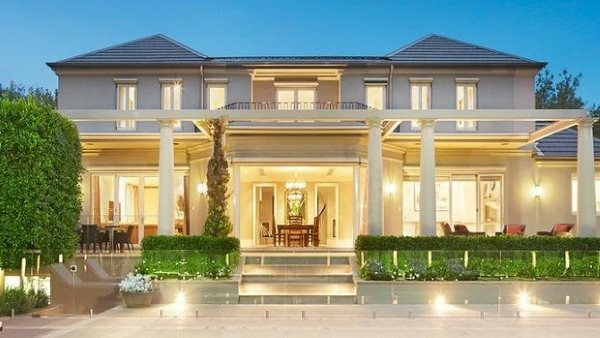 He is married to a gorgeous and highly effective Australian lady with a long track record in Hi Fi distribution that gives us Aussies a status with the factory beyond our mere numbers of units sold. The second one up from the bottom on the left is actually the new Creek Evolution 5350 amplifier($2250) that is olde worlde smooth with new gen dynamics and detail. Yet to take its proper place in the hierarchy of reviewed products I expect this amplifier will take some awards from the critical press. 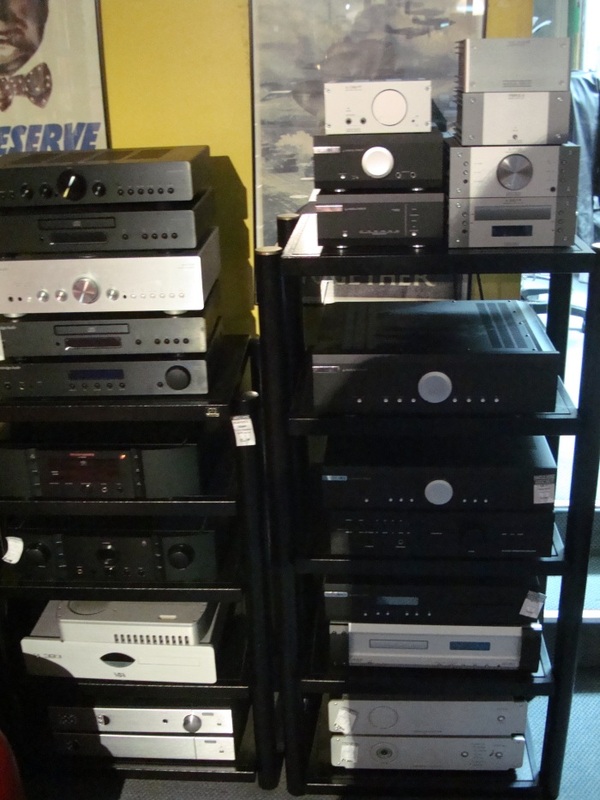 The middle stack is Cambridge Audio gear, an interesting brand whose only current association with Cambridge is that of a Richer Sounds branch on Hills Road near the station who sell it. The brand is actually owned by an English Company called Audio Partnership that was instigated by Julian Richer ... the owner of the aforesaid set of retail outlets. The right hand pile in the above photo is of Musical Fidelity including the M1 DAC ($799)that is a very popular add on for the the new generation of computer music listeners. They have found this to be particularly effective for getting the best out of the music through a digital out on the PC. Above the M1 DAC is the Class A M1HPA Headphone amplifier with RCA and USB input that at $999 is an excellent add on for a high quality system. 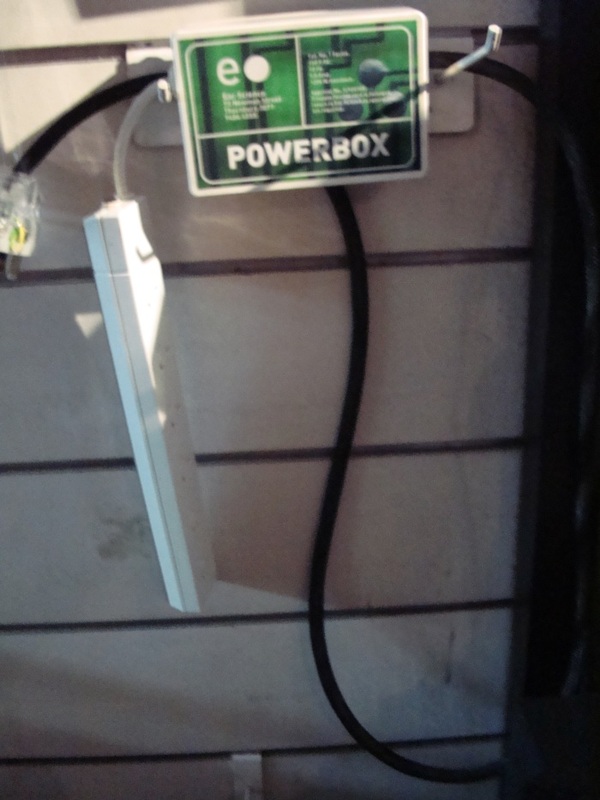 We have a couple of X Can V8 left at $699 for a bargain hunter. 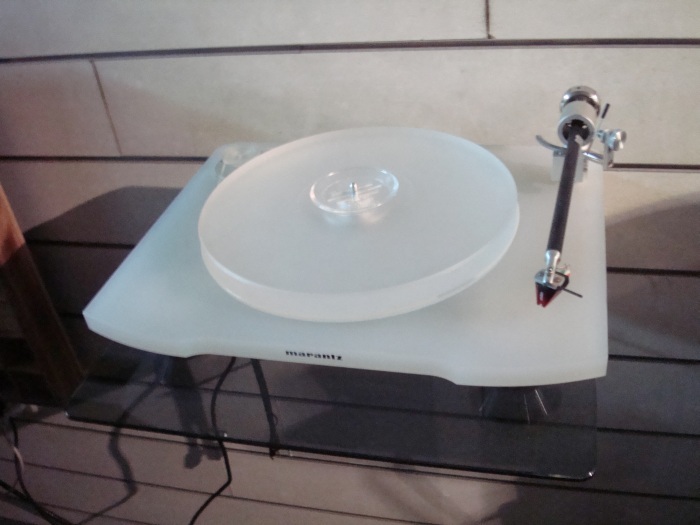 This pearlescent vinyl transducer is the Marantz TT15($2699)... and if you think it looks like a much more expensive Clearaudio thats because it is ... the chassis is mounted on massive alloy feet and the platter runs on a ceramic bearing in a polished sinter bronze cap. Actually this is a very good shortcut to esoteric vinyl at a mid fi price and should be considered by anyone who is looking to permanently capatalise on a record collection. One should remind the reader that this format has been going from strength to strength in sales largely fuelled by Generation Y purchasers. 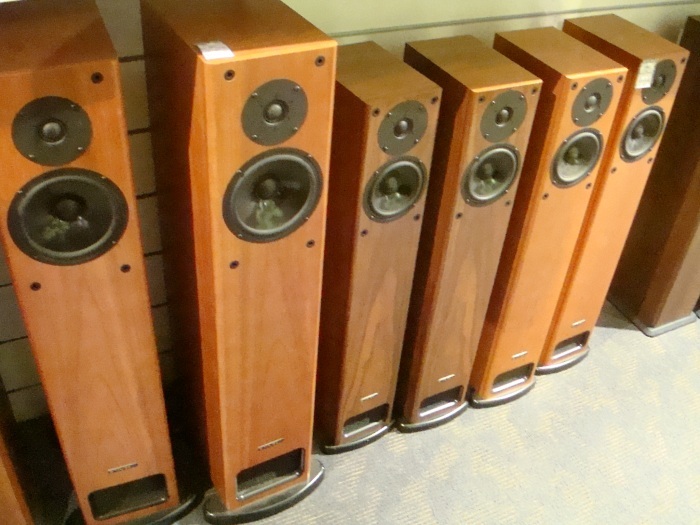 PMC speakers ... to be precise two pairs of GB1i's($3850) and a pair of FB1i's ($5350) ... not for nothing is this the most owned loudspeaker by the people who work here and also ... the speaker most used by the studios that make and produce the music we listen to. The first time I heard a pair of PMCs was actually the original FB1. Our then new colleague Joe Blair fresh from the UK harangued into making what was forus at the time a very expensive stock purchase of a five thousand dollar loudspeaker and fully loaded with listener fatigue and cynicism I sat down one evening after hours to listen to them properly through a Cyrus amplifier and CD Player. It was Geoff Buckley that came to hand and it only took a couple of bars of Hallelujah to absolutely catch my attention ... that rare moment for me when I suddenly am revealed an extra layer of music within the music that completely engaged my attention for the rest of the album. 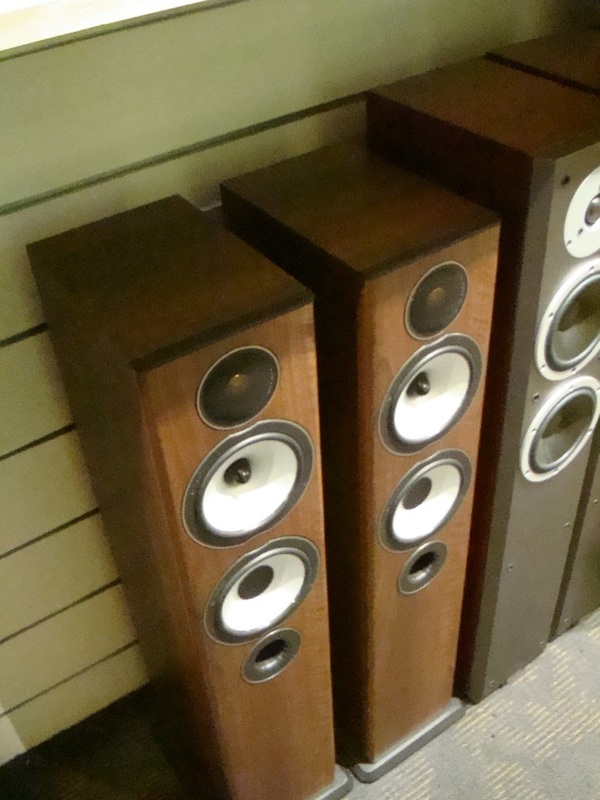 It wasnt like I'd had a life before then bereft of listening to really expensive Hi Fi but these mid price transmission line speakers were able to reach into the performance and inject straight into my emotional appreciation centre. That sudden physical shock of hearing the bass octaves separated properly in our listening room for the first time has stayed with me and is still currently and correctly articulated by the PMC range like no other. Now there are some cool things in this view of the back room playback wall. Note the Tannoy Definition Series Dual Concentrics ($7999), the Dynaudio S3.4's ($9000), and the PMC OB1's ($9200) ... not a bad little trio of speakers to have on demo at any one time and actually completely different from each other whilst being fantastic in their own right. I suppose to characterise them you would say that the Tannoy is one extreme with a hugely fun bright sound and a great blooming bass that just makes a certain type of person want to play them louder and louder all the time. The Dynaudio is the other extreme for people who are terminally afraid of ragged edges in the sonic presentation and are seeking somthing absolutely uncoloured and fatigue free. The PMC's are needless to say in the middle of these two but capable of both imparting the energetic extremes of the music along with those moments of absolute delicacy and subtle nuances ... especially if they are attached to a Bryston 4B SST power amplifier. There are some interesting amplifiers in this frame ... note the Rega Osiris amp and Isis CD Player ($12000 ea) on the bottom shelf ... manufactured as though from a solid billet of steel they are that sort of kit that the lucky ones amongst us buy just once in their lives. Above them on the middle shelf in silver alloy is the Leema Acoustics Tucana II Amplifier ($8500) and Antilla Cd Player ($6995). 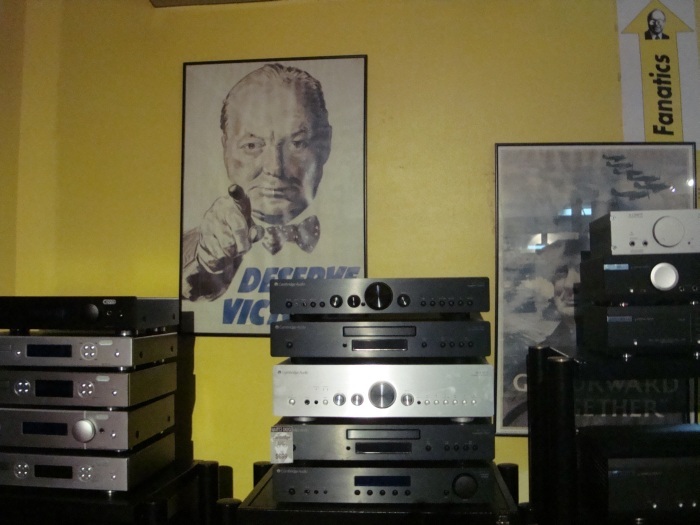 These are the products of Wales via some ex BBC engineers determined to produce the best in single piece Hi Fi components and they have won us many customers through the intense musicality of their performance. 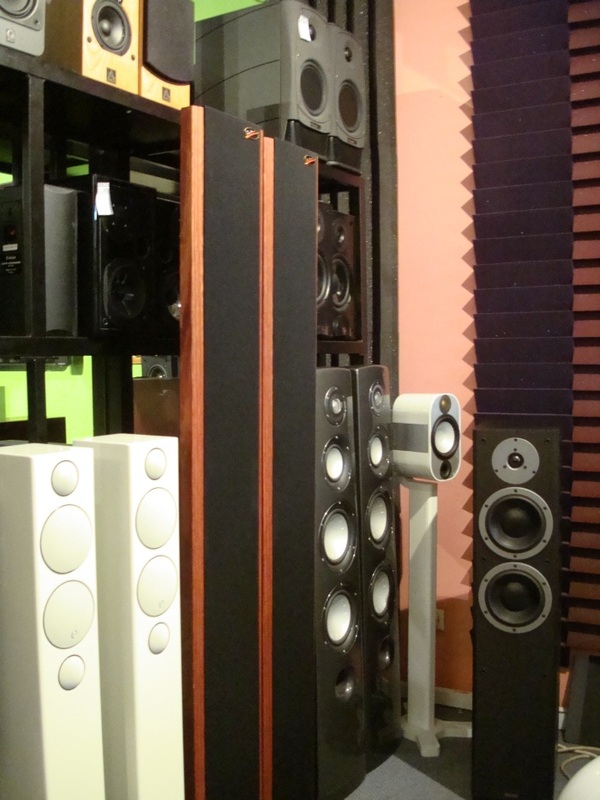 The small wooden speakers on the stands in the foreground are PMC DB1i's ... one particular type of audio nirvana can be acheived with these small point source speakers on a huge amplifier ... think Proac and Audio Research. The cabinet by the way is an English Quadraspire that is a visually minimalist but acoustically optimised glass or wood on metal frame design ... five shelf is typically $1400 ..
To their right the tall wooden edged skinny speakers are Ambience 1600 Ultra Slims the Australian Ribbon Speaker and a personal favourite. We have six different models of Ambience on display. 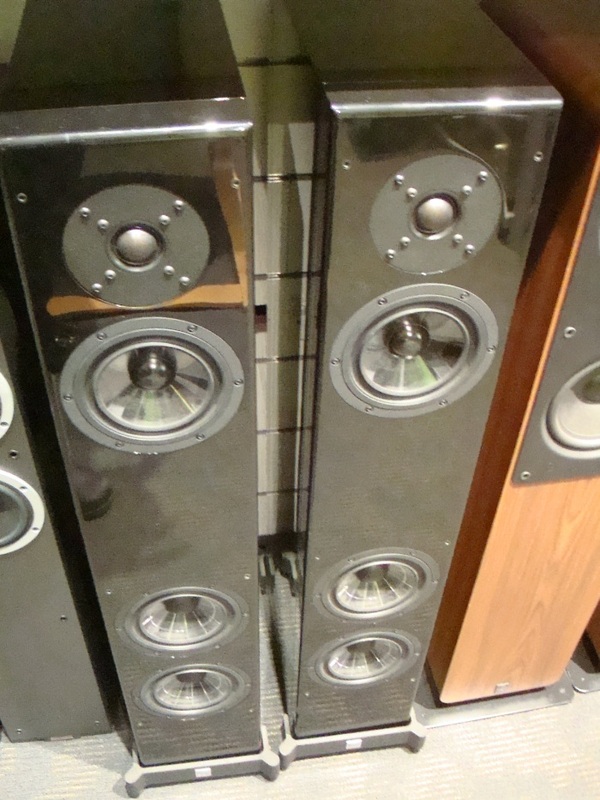 They are often sold as part of an 5.1 AV package ... they have some of the best rears and subwoofers to include in that package, The Bronze BXLCR Centre ($450) is the one immediately under the TV. You can see how the Silver RXLCR Centre Channel speaker ($899) that it's sitting on is bigger and more tech. The floorstanding three elemnt speaker behind the Bronze series sub on the lkeft is the Silver RX6 ($2099) and the four element RX8 ($2750) is visible on the right. If you are somebody who is sophisticated ... but like heavy undt trance come and hear the RX8 on a good amplifier. Thats a PMC TB2 centre channel by the way in nlight wood colour below the Monitor Audio centres and the TV is a Sharp Quattron 52 inch. The little rectangles on each bottom corner of the TV are actually a Cambridge Audio Minx Min20 pair of Satellites ($229 each). The Musical Fidelity M3 ($1995) and M6 ($4995) amplifiers are dead good and contemporary here. The BX5 ... every company needs a champion ... if you dont have a speaker in the thousand dollar bracket that is floorstanding and really good ... 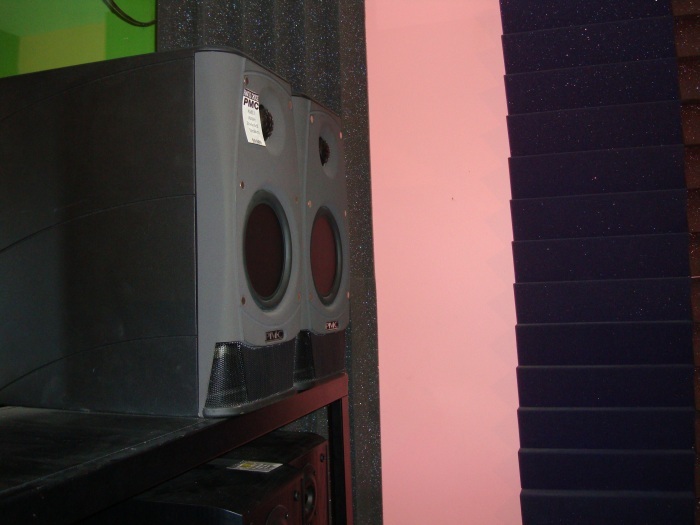 I mean really good , so a customer hears it and immediately knows its better than anything else he's heard around town to date in anything like that money ... then you as a retailer should shut shop and go home ... that speaker that is the Heath Ledger Knights Tale in this market is the BX5 Monitor Audio. 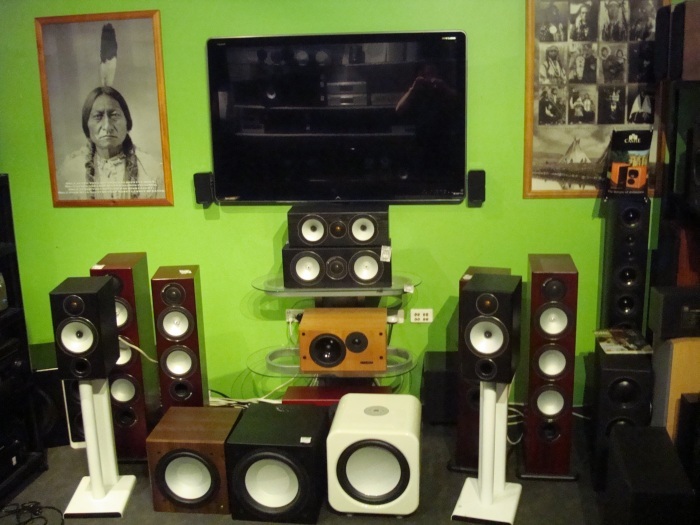 Go ahead and die B&W eight series , shrivel Wharfedale , melt Jamo , leave Klipsch to Palin voters . The Monitor Audio BX5 is better than you. They say an Englishmans home is his Castle. The only Castle Ive been in lately is the one where the owners and British designers and their guests live in as part of the manufacturing facility that is IAG in Shenzhen in China. These guys really mean it. They are not going to sit in idle imitation of old brands. The brands that they have acquired are incidental in many ways to their ability to design and produce. 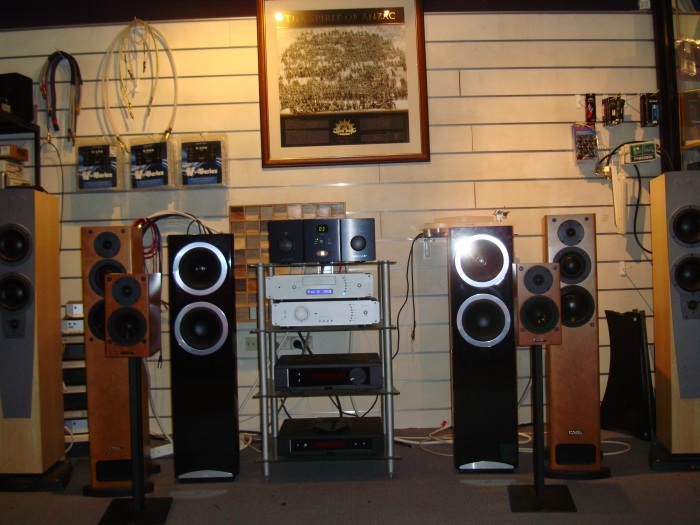 They are able to hire whoever they like from the world of Hi Fi designers and have brilliant manufacturing organisation. It is sad but true that the reality is that these oft ill managed UK brands could not have come to a better home than IAG. So the first speaker nearest the camera is a Castle Knight 3 ($999) ... a floorstanding 2 way with excellent warmth and trad sonic values. Not as glitzy on the sound as a BX5 but absolutely good for serious classical stereo systems. 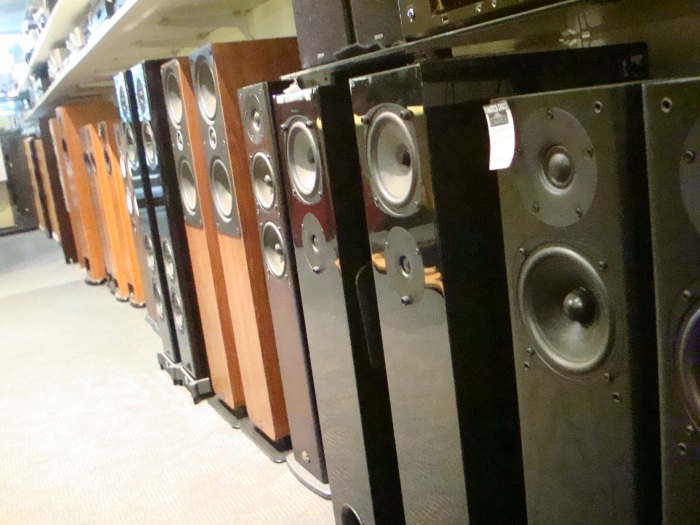 Try them with an NAD amplifier. The gloss black floorstanding speaker next along with the bass driver above the tweeter is actually a Rega RS5 that is still made in England by George... I suspect we are the only company in Victoria where you can hear these at the moment.